One of the great things about travelling by ferry is that you can take your car with you. Once you arrive at your chosen ferry port, you're free to travel wherever you like, provided you stick to the rules of the road, after all you never know what can happen on a ferry trip! Of course all countries in mainland Europe drive on the right hand side, but this isn't all you need to remember when embarking on a European road trip. There are several other things you should consider, both when equipping your vehicle for the journey and while out and about in your chosen destination. Planning is essential before leaving for the ferry terminal. Forgetting important documents could leave you in a sticky situation, possibly facing a police fine or confiscation of your vehicle if you are unable to produce documentation when requested. Investing in a wallet or folder may be a good idea to keep everything together. You'll need a valid full driving licence with a paper counterpart if you have a photocard licence, as well as your original vehicle registration document. You should also carry your motor insurance certificate and your passport. 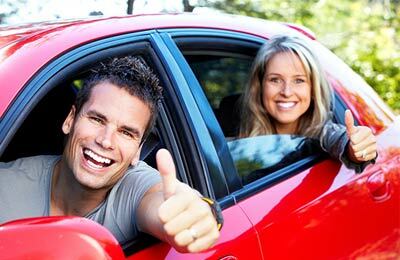 Depending on which countries you intend to visit, you may also need an international driving permit and a visa. Don't assume that your car insurance policy will cover you when driving abroad. Make sure you contact your insurer for advice at least a month before you travel to check that you have adequate protection. Similarly, you should find out whether your breakdown cover will apply in other European countries. Other items you'll need to take with you include a warning triangle and a reflective jacket. In some European countries it is compulsory for visiting motorists to carry these items, and in the case of the jacket is it sensible to take two - one for the driver and one for the front passenger. All jackets must conform to EU Standard BS EN 471: 1994 Class 1 or 2. Since it is a legal requirement not to dazzle oncoming drivers, motorists from the UK will need to adjust the headlamp beam pattern of their car ready for driving on the right hand side of the road. Headlamp beam converter kits are widely available, although depending on the vehicle type, adjustments may need to be carried out by a professional. Finally, make sure you obtain a GB car sticker, as these are compulsory when driving on the continent and failing to comply with the law could land you with a hefty fine. Once your ferry journey is over and you drive your vehicle off the vessel, you must follow the road rules of the country you are visiting. In Europe, this means driving on the right. But it may not be as simple as switching to the other side of the road and travelling the opposite way around a roundabout. Fortunately, the same set of standardised road signs are used right across Europe, so motorists shouldn't have difficulty understanding signage when driving. However, speed limits, parking rules, tolls and restrictions can all vary from nation to nation, so it is essential to do some research beforehand and get to grips with the rules in the country or countries you will be visiting. For example, in France, most of the country's 8,000 kilometres of motorways are toll roads, with payment collected as vehicles enter and leave, while on German autobahns there are no tolls. Some countries also have low emission zones in operations, and while many of these affect vans and lorries only, others, such as those in Germany and Italy, affect passenger cars too. And be particularly careful when driving in Italy. In many historical centres, traffic is restricted. These areas are marked Zone a Traffico Limitato or ZTL and apply to either all traffic or just non-residents. Some also operate at different times of the day. Drivers who accidentally enter these zones will be fined. You should also consider the time of year in which you're travelling. In Germany, for example, it recently became compulsory for drivers to use winter or all season tyres during winter weather conditions and fines are levied for non-compliance. Remember that distances are displayed in kilometres, not miles, on the continent, so make sure you factor this in when calculating driving distances and times. One mile is equal to 1.6 kilometres. And if you have an accident in Europe and require emergency assistance, don't dial 999. The European emergency call number is 112 in all 27 member states of the European Union. While it's advisable to read up on road rules in individual countries, taking sensible precautions should ensure that motorists stay within the law. Avoiding any activities that would get you into difficulty in the UK will also help you stay out of trouble abroad. For example, servicing your vehicle in advance of travelling will reduce the risk of breakdowns. Similarly, checking the tread depth of your tyres and changing them if necessary will ensure you meet European regulations. Most countries require a minimum tread depth of 1.6 millimetres, but again, check before you leave. When it comes to prosecutable offences, it is best to avoid them altogether. Some countries have very strict laws on drinking and driving, so it is best not to drink any alcohol at all before getting into the car. Laws on mobile phone use behind the wheel can also be tough, so do as you would in the UK and pull over if you need to use your phone. And it may sound obvious, but make sure you stick to the speed limits. Heavy on-the-spot fines are levied in several countries, while some nations, such as Germany for example, enforce the restrictions vigorously with the use of radar traps. Finally, with all the excitement of exploring a foreign land and taking in new and unique sights, it can be easy to revert to old habits and drift over to the left hand side of the road, particularly when leaving petrol stations or car parks. You should therefore be alert at all times and make sure your passengers know not to distract you. An enjoyable holiday will be had by all if you're able to drive your vehicle safely and lawfully. And if you're wondering where to go this summer then check out our article on Europe's summer hotspots.